Open Learning Design Studio, a free and open course on learning design (how learning can be designed, how a curriculum can be build...)! That is something I cannot resist. Admittedly, the organizers are still getting all the locations and spaces ready, but there is a lot to be seen already. Starting on 10 January 2013 (and lasts for 9 weeks, clocking off on 13 March 2013) a set of UK based learning institutes are rolling out a MOOC on learning design. Although the course is free, you do need to register. They offer a list of new approaches to MOOC (and proven one's), which will make it of interest not only to us who look for a more in-depth knowledge into learning design, but also for those contemplating on setting up a MOOC. So that simply looks great already! Study weeks start on a Thursday to allow those who cannot devote time during work days to participate over the weekend. The MOOC takes an active and collaborative approach to learning. Facilitators will provide resources and guidance, and participants are invited to critically engage with and add to these, and use them to create design artifacts that they will share and discuss with others. Committed participants will work individually or in groups on a learning/ curriculum design project that they will initiate and define. Additionally these participants will associate themselves with a study group, with which they will work throughout the MOOC. These groups will act as the primary learning support mechanism. The course is structured to reflect a proposed process for design, and combines a number of design thinking methodologies (see http://www.ld-grid.org/resources/methods-and-methodologies/ideo-toolkit and http://en.wikipedia.org/wiki/Design_thinking), inquiry learning (see http://www.pi-project.ac.uk/) and educational design research (see http://en.wikipedia.org/wiki/Design-based_research). 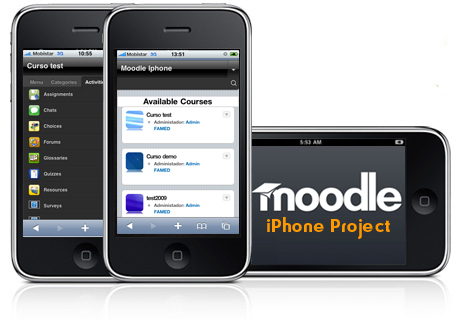 It has been more than 2 years since the Moodle4iPhone project http://iphone.moodle.com.au. Unfortunately it was not ready to be officially released, but after additional work from Beto, Carlos and Ludo, the official release will be rolled out in the following weeks. For all of those interested, we kindly request you to go to http://m.ideas4ict.com/ and enroll to the course and give us some feedback (at the social forum http://m.ideas4ict.com/mod/forum/view.php?id=4) in order to improve this theme before to make it public for the whole Moodle Community. Two themes will be released, 1 for mobile devices and the second one for tablets. The timing towards the official release is as followed: try-out and feedback in the next two weeks. Than one week of tweaking based on the feedback received and ... release! So, for all of you interested in mobile Moodle, get your devices out and join the community to get this project launched. What if you are looking for an easy, accessible learner analytics that does not only map access and timings, but actually allows trainers and teachers to take a more in-depth look into the actual learning? THAT is what I am looking for. As I am researching learner interactions in a mobile accessible open, online course – I can see that access pushes forward learner interactions, and even meaningful, constructive learner interactions (research snippets will be shared soon, still getting my thesis together). Looking at Tin Can will reveal a bit of the future of learner tracking and open opportunities for future educational research. The most essential challenge that emerged from my research (at this point) was the fact that meaningful mapping of learning was lacking due to a number of reasons. So this is where Tin Can enters (@tincanapi), and thanks to Danny De Witte (@paravolve ) for getting me back on this topic! Tin Can builds on SCORM, but takes learning/training data to the next level. What Tin Can does is enabling teachers/trainers and as such also researchers to see which type of learning appears within a learner community. Not only the formal learning (access to course content, etcetera), but also the informal learning, not only web-based but offline as well as online, and adding ubiquity to the analysis as well. So in a nutshell Tin Can wants to push learner analytics to the next level. Tin Can is not yet in a version to provide a widely audience a userfriendly version, but … you should have a look at where they are heading (currently 1.95 version, so near public release). What Tin Can does is getting all the diversity of tools that all of us use to build brick-à-brack solution for learner analytics, and centralizing them so that it becomes more intuitive. Mobile tracking – any device tracking: so allowing focus on the actual learning, no matter what device. Simulations: allowing to move away from the browser, into where the actual learning takes place. Educational (serious) games: gamification is a great way to learn, but it gives rise to a lot of learning challenges, let alone tracking. Currently a lot of serious games are being played by young children, which can actually show the actual learning going on (algebra, math, language…), but this (informal) learning does not seep through to the actual teacher/trainer… however, this could create a much more personalized and in-depth profile of the actual learning of a particular individual. Performance support: point-of-need, just-in-time learning is essential for learning. But the barrier with scorm was the actual ‘login, path….’ Which gave rise to a bit of demotivation. But Tin Can takes tracking outside of the LMS, as such it is much more directly accessible. Track real world activities: a webinar, training attendance… any tracking that is GPS enabled and such. Offline and long running content: spaced learning enhances all of our learning as we know, but this was tough to track, with Tin Can offline tracking will be enabled. Tin Can will not program spaced learning, but will provide data that will make it easier to develop spaced learning. Security and authentication: Tin Can will upgrade the security a bit: secure the security between a learning provider and the actual material. It will not be fully secure, but a bit more secure. Everything is learning: if we do something that increases our knowledge, this is essential to get an idea of learning: making a mistake, writing a blog, reading up on a specific topic …. The holistic learning environment. How it works: bookmarks are gathered (in Tin Can), book scanner (to add the books you read), tapestry api addition…. It is all about capturing learning events. Key enablers: tracking does not need to be done inside an LMS, it can be launched from anywhere. 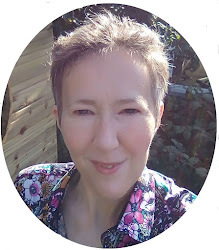 The asserter of the learning material, can be different from the learning event => as such everything on the web can be used as a learning object, and can be tracked for its learning, it does not be ‘scorm-enabled’. Training data portability: allow to take along training records. Personal data locker: that might give the learner herself/himself to learn more on their learning: ideal meta learning tool! Major challenge: how can one filter out the signal to noise: what makes up relevant learning, what not? How do people like to learn? Which learner profiles are there? Can you deduct a professional profile based on learner profiles? Can you filter out skills and consequent opportunities based on learning? Can you find topics that arise from learning … from what seems to be missing? This will shed light on actual learning apart from neuroscience monitoring. Great! 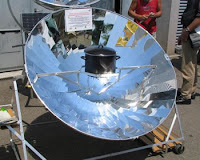 If you want to learn more about Tin Can, have a look at their website here (http://tincanapi.com ), or get a broader idea watching this webinar. Hans De Zwart got me onto this site and ... what a great resource for avid readers and listeners! I admit I need to finalize my thesis, but I just could not resist taking a break to peruse through the content shared by the Internet Archive. I learn every day and ... will do for ever no doubt. A bundle of Open Educational Resources with lectures on several subjects. 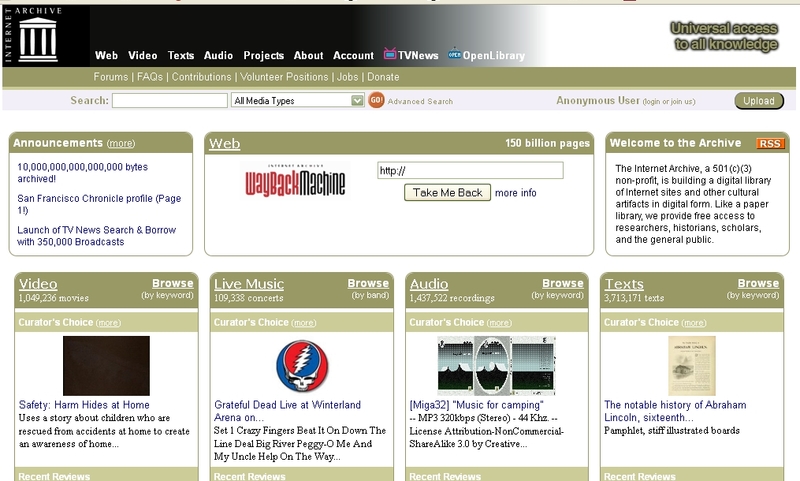 TV archive with search option, for any media editor this is a dream. You just search for your favorite politician or fact, and start editing an overview of what they said versus what they do, or how certain facts get a different perspective as time goes by. Wonderfully educational stuff. Something called the waybackmachine that allows you to filter content that you think should be archived for future generations. After which I started to look at the open library and saw a list of books that are in part freely available, but some also simply linked to make up a complete digital overview of all books. These last few days were pushing the truth into my face again: education does not change the world. In fact: it helps destroying it. So why bother? Why do I put so much time and effort in researching education? It is not about Israël, it could just as easily be North Korea, China, Zimbabwe, waffles baking Belgium, … or the tiny country of Andorra for all I care. It is any region empowered by the educated that decides ‘the other’ should be destroyed (read murdered under a false flag of well-meant excuses). It is never about a nation or patriotism, those are just words used by the educated to feed propaganda, the media and lead up to destructive action. 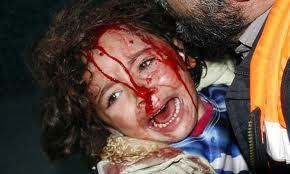 The nations never die, its citizens die, the children die. The powerful, educated few that decide they will bombard innocent people … they live. They are educated in surviving, constructing mind weaves to make them and others think violence is permitted, they understand how to fire guns pointed away from their homes. Universal rights are simple: you kill someone on purpose => you are a murderer and should be trialed. Annihilating the powerless is the best way to keep people down. Annihilating the powerless and educating the thinking. Give those that have some intelligence something to do. Give them the illusion their education will make the world a better place. It will never do it. Power is not in education, power is in the elite network, the willingness to be part of the network, the willingness to engage in destruction to keep power to those already in it: “for that is how it should be. We know what is best for them”. Palestinians are educated people, israëlis are moslims too, jews struggle for peace and all of us suffer from death and destruction. Killing someone makes anyone a murderer, even if they do it from 10 miles further down the road. That is basic knowledge we all know. But it does not matter that we know it. There is no world for the peaceful, for the balanced, for indigenous people, for any of us just wanting to live in harmony. Delivering primary education to all?! I think not. Reaching the millennium goals is a nice sounding motto. Something to keep many of us busy, working, researching. But unless the few really want to achieve it, it never happens. And it does not happen. We could. Social science has many frameworks, theories, even pilot studies to prove its potential realization. But it does not happen. Because rebuilding cities, rolling out roads for tanks, pumping fuel from the core of the earth to regions consuming it in a rush to go to work, to professions that put all of us between brick walls for the biggest part of our day, for workers hurrying of to any space that is not their family so they do not have to talk to their fellow man/woman, even if those are their partners, their next of kin, their spouse. Let alone make them think about easy dilemma’s that might make a change. What gets us on the streets? I don’t know. But I can tell you what does not get all of us walking the pavements, hammering on doors of our so called democratic elected leaders: technologically strong, educated armies blowing children to oblivion. Education is manipulated and misused. Maybe it is just there to keep us busy, to keep me busy. But for the life of me I cannot come up with anything else to try and change this world and hope that at some point we will find a cure for mindless aggression in name of the father, the nation, the god… or any of those iconic lies. 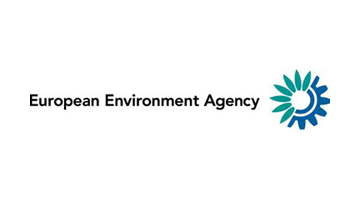 During the Learning Day at the European Environmental Agency (EEA), an organisation filled with knowledge workers, I had the pleasure of hearing a keynote of Harold Jarche ( @hjarche and www.jarche.com ). These are my live blognotes. An interesting central idea is the fact that all knowledge workers need to have time to do nothing, simply relax, get their heads into an open, wandering, creative state. I totally agree. Without pauzes, my brain would not be able to compute and emotionally process all the input absorbed by the day. Change is human. Although at every moment in time, we - as people - feel that something will be there forever. But we are only surrounded by artificial barriers. These barriers are artificially created. Organizations are the same, the barriers, guidelines are provided... These barriers are sometimes set up to create an idea of trust, balance, ... but in fact these barriers can be restrictive. If we want to grow, we need to share knowledge. As such we need to break the barriers down, enabling fruitful change. We live in a less barriered world: self-publication, group forming across the world, unlimited information. In the past we linked up with people with similar interests locally, due to simply physical realities... now we can link up with people from around the world. So from a learning perspective our learning group grows (personal addition: this also means that the group that lives inside the personal zone of proximal development grows, as more people can potentially be in this). Groupforming is now becoming networks. This has an effect on mentorship: per mentor you can only have so many learners, but with the growing group more mentors can stand up and the learners themselves can become mentors. The web has changed the way we work. An interesting question put forward by Harold is from Robert Kelley, "What percentage of the knowledge you need to do your job is stored in your own mind?" research. The percentage decreases, but ... I am not sure about this, as the brain builds on its experiences, as such - even if we look up something, the basis of what we pick up is actually stuff we know. So - to me - the 'new' is not that new, it is only a small part of new, but mostly it is building upon personal knowledge. Talent is seldom outsourced, labour is. Live and work is in perpetual beta (I agree so much!). (personal note: although the above is true, I feel this is only true because we belief in the non-human at this point in time, money and profit is the goal, but that is not human. Because of this focus on non-human factors, humanity is out of balance. We should use the web, the new world order to shift back to the central goal: humans - think Star Trek society, the technology serves humans, no money needed). We need input from peope with a diversity of viewpoints - Tim Kestell (or Kastell?). How do we connect the open world with the corporate world. Communities of Practice: weak and strong social ties. "You know you are in a CoP when it changes your practices". Rob Cross, et al. The Hidden Power of Social networks, HBS, 2004. is mentioned => the people that are more connected are the most connected, it is not the smartest people. collaboration: working together for a common objective. Cooperation: openly sharing, without any quid pro quo. Corporation is linking with each other: yin/yang balance. Knowledge sharing networks is build on openness, for it enables transparency, which fosters diversity of ideas => trust! (agreeing here, any willingness to communicate openly is based on the feeling of trust). We should all move into transparency to get to innovational drive. Mentions Nancy Dixon on knowledge management: do not go to hierarchy, but to a networked corporational architecture. "All models are flawed, but some are useful. "Assume positive intent" says Harold, things work better with this as a starting point. "To change behaviour you have to do it 40 days in a row for change to stick". Karel Van Isacker from PhoenixKM and VIPI just gave a presentation on social media in an accessible learning perspective. He gave an amazingly interesting talk. The reason of interest was his focus on the actual usability of a broad range of alternative social media tools that people with disabilities need to use in order to actually access social media. I had no idea and I am very grateful that Karel got me so excited. So if you are looking for inclusive education that can be accessed by all people, have a look at his presentation. Here are the slides provided by Karel, 15 slides with a mountain of information for people with and without disabilities. For those interested in the development logic behind an ever growing, durable mobile project, the iSpot growth will be of interest. Especially as they share the choices they made and whether those were good or bad. There is also a link to the new Google mDesign recommendations. iSpot focuses on sharing knowledge on what people can see in nature: birds, mushrooms, trees, flowers... and to determin what type of species or plant it is based on expert and peer knowledge. The project started out as something local, but is now set to go worldwide as an Open Educational Resource for nature in all it's wonders. In it's current version newly uploaded content to iSpot is determined (analyzed for what type of flora or fauna) within one hour!! 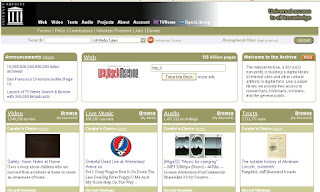 The first version of iSpot was mostly web-based and was focusing on people willing to consume content related to nature. People could look up which type of flora or fauna they had met while being in the open. This was done based on a database with a list of visual and other information on local (UK) wildlife. This first version was opened up for evaluation by all the stakeholders. As the project team got feedback from their first users, they quickly found that users wanted to be able to immediately access and share what they saw in the open field through their mobiles. the team got to work on a second version of iSpot, focusing on the possibility to share what had been seen in the open more quickly and immediately. Version 2 got more interactive: people were now able to share their own content, load it up to the iSpot server, and ask for feedback on the determination of the species they had found, or simply add an extra visual to a specific species. By this crowdsourcing effect, the iSpot database is becoming a source of interest on where species were located, how their population is doing, how they migrate... Of course the database still needs to mature in terms of content, but ... it is a longterm project with a definite surplus to science. For version 2 development choices had to be made which are of interest (see a bit further down this blogpost). Version 3 wants to go international. This version will be rolled out by June 2013 but is already being developed and its vision was shared during the same session in mLearn2012. For this version to become of international interest, it meant that species not only had to be determined by the crowd, but that different language options for specific species needed to be embedded as well. This 3rd version is built based on the new Google recommendations for mDesign (G+), really new so check it out. An interesting and useful learning reward was offered. If people were able to determine which type of animal life they saw, they would grow through the 5 levels of expertise that the iSpot team had put up. This means that anyone with an interest and willingness to get into wildlife had the opportunity to work her/his way up to the 5th or expert level. Meaning they would reach a status where they would be the one's determining flora and fauna right up there with all the professors and experts connected to iSpot. When content is uploaded ideally it would be anchored to specific regional coordinates, as this would be of scientific interest. started as a mobile native app, but now turning into html5 project (the ECAR mobile preferences report of September 2012 indicated that students prefer mobile apps to web optimized content, so with the html5 option they hope to offer an optimal mobile web application). as different project iterations move on, it is of interest to analyse all the actions taking place in the project with event level Google analytics (this is also a new beta Google option and google looks for feedback so have a look). A nice extra, the iSpot project has resulted in an 8 year old girl finding and naming a newly found spider! How great is that?! The American Pew research center publishes a wide variety of human research topics. 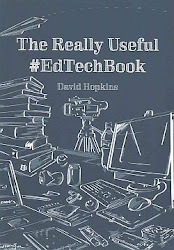 On many occasions these reports are linked to educational technology or trends, which is great when you are interested in training/education with innovative technologies. The future of higher education : "tech experts believe market factors will push universities to expand online courses, create hybrid learning spaces, move toward ‘lifelong learning’ models and different credentialing structures by the year 2020. But they disagree about how these whirlwind forces will influence education, for the better or the worse". While everyone knows by now that the future of higher ed is in a fast evolving state, and giving rise to a lot of new initiatives, the results of this report are of interest. Mentioning MOOCs, more particular the xMOOC kind: "as of mid-2012, Coursera’s massively open online courses (MOOCs) were provided free to its students—enabling unfettered, global access for millions to engage with some of the country’s most prestigious universities. Other start-ups such as MITx, 2tor, and Udacity are attracting similarly staggering, six-figure student enrollments". And yes, I feel that as a university we all need to build a masterplan which incorporates strategic higher ed goals and practices to refocus and gather an educational, qualitative space within this global higher education global evolution. This report is of interest as it shows that all of us have no clue, and at the same time we are all pointing towards different global ed future movements. Ranging from full online learning as the key factor to high prized face-to-face, old school appreciated learning. Overall the authors of the report conclude that experts expect more-efficient collaborative environments and new grading schemes; they worry about massive online courses and the shift away from on-campus life. Overall a nice read and food for thought. My interest in apps versus web resides in the fact that many apps or applications can be integrated into curricula or training as learning tools. The same can of course be said about the mobile web. But this dichotomy (which in my mind will become obsolete once technology allows us all to get full access no matter where or when via personal devices; which by that time will not even be called mobile, just learning devices at most). But for now as a teacher and trainer we still need to choose between mobile apps or mobile web to add specific learning options. If you are looking for ways to connect to South African researchers engaged and passionate about mobile learning. Look at the people mentioned in this post and connect with them. They are wonderful mLearning experts and … open to collaboration. As mobile learning gets more broadly accepted, meeting inspiration people around the world gives rise to new ideas. Here are some ideas I encountered in South Africa. The University of Pretoria invited me to exchange some notes on mobile learning and innovative educational technologies and the meet up was simply amazing. El-Marie Mostert and Linda Venter are experts in eLearning and using new technologies in a University setting. But in preparation of the future of learning, they are now in a team to look at how mobile learning can fit within their curricula, where new initiatives can be taken (based on needs, availability of people and willingness of already fully booked teachers to engage). Quite a challenge as we all know. As a result of their quest, I am writing up some practical mLearning options to create easy mLearning options to add to the overall curriculum (I will share them later in the next few weeks). 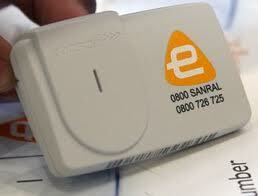 e-Tags that scan your car for highway toll calculation (a chip that sits on the window shield, and opens the gate as your car approaches the toll booth). … it was amazing to see how mobile is quickly becoming part of normal life. Adele Botha and Ronel Callaghan are setting up mobile living labs in rural areas that have no connection, mobile living labs. They want to team up with all of us that feel mobile education can make a difference. If you are interested in the project, join Adele and Ronel, or look at this video down below to see what vision Adele has on mobile learning. Darryn Knobel has a facebook project going on veterinary health and diagnostics. In this facebook based peer-to-peer interactive course for veterinary students, the students go out to remote farms and screen cattle for parasites or other diseases. The students then take pictures and post them to a closed facebook group so they can discuss each of their findings and diagnostics. The amazing thing is that most of the students interact through their mobile in any location (at the farm, at university, at home), so their mobile devices are the central connectivity device. It is a nice project and Darren clearly has a great time being the guide-on-the-side who helps his students to stay on track whenever necessary. And last but not least… What scenery! The campuses I visited are truly amazing: open, green, pleasant atmosphere, … wonderful. Below you can find the slides I used for the CIDER session that was organized by the Canadian Institute for Distance Education yesterday. If you want to hear the whole story with more information on each slide and the somewhat coherent story behind the slides, you can have a look at this 57 minute recording session. The recorded session starts with an introduction delivered by the wonderful Dan Wilton, and takes off at 7 minutes into the recording. The slides cover MOOCs and gradually focus towards the research I am currently rolling out to see whether mobile access has an impact on learner interactions in an open, online course. Tomorrow, Wednesday 7th November, I will be presenting one of the free CIDER sessions organized by the Canadian Institute of Distance Education Research. The title of this 40 minute presentation (with interactions during or after) will be: Looking at Ubiquitous MOOC Learner Interactions. During this session, I will take a look at what MOOCs are and how ubiquity affects learner interactions. Starting from the history of MOOCs and their general design, the session will gradually focus on the different learner interactions, mapping preliminary results of a research I am conducting into the effect of mobile access on MOOC learner interactions. MOOCs are a contemporary course format that allows students from all parts of the world to connect and interact on specific topics. 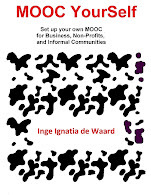 Traditionally MOOCs use a lot of social media to promote networking and collaboration between learners. These social media in combination with learner created content exchange leads to a specific learner dynamic. In order to analyze the learner interactions I am using the Community of Inquiry framework. This enables research to look at social or personal interactions vis-a-vis academic or intellectual interactions. The reason for looking into these categories of learner interactions is to look at ubiquity or mobile accessibility on open, online courses and whether this ubiquity has an impact on learner interactions of any kind. The research will bring mobile learning and MOOCs together, both of which are contemporary educational formats that have opened up new pedagogical and educational opportunities to increase the effectiveness of learning online. *Local times for CIDER sessions are provided here. Please note that it is extremely important to get your system set up prior to the event. Make sure your Mac or PC is equipped with a microphone and speakers, so that you can use the audio functionality built into the conferencing software. The Adobe Connect platform may require an update to your Flash Player; allow time for this update by joining the session 15 minutes prior to the scheduled presentation. Registration is not required; so all of you are welcome! Do you know how and when people use mobile devices? Are you targeting the specific times your learners have access to online content and learning? 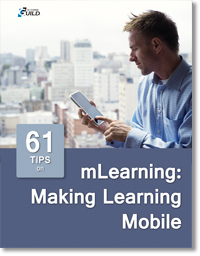 Knowing these details can be the difference between success and failure for your mLearning project. You do not need to be a member of The eLearning Guild to access this eBook, so please feel free to share this link with your network.